Swimming is awesome regardless of the fact whether it is your hobby or your favorite sport. Every one of us enjoys dipping ourselves in a swimming pool at the end of a tiresome day, where all the stress and frustration fades away. Clean and clear waters of the swimming pool are what urges us to have a dip. What if the water is turning out to be murky and slimy? Would you enjoy swimming as you always did? Of course not, you would instead start avoiding it as much as possible. It means that it is time to clean your pool filter. However, cleaning your pool filter is not going to be that easy but need not worry since we are going to help you with telling the correct way of cleaning your pool filter. If you have a swimming pool, it is evident that you will have to clean your pool filter once in a while. The water in your swimming pool was always clean and clear because of the pool filter which filtered all the dirt and sent in the purified water into the pool. A pool filter is responsible for purifying and filtering the water to your swimming pool. You might usually find a pool filter as a part of your pool’s wall, but however, it depends on the type of your pool whether it is an above-ground or in-ground pool. 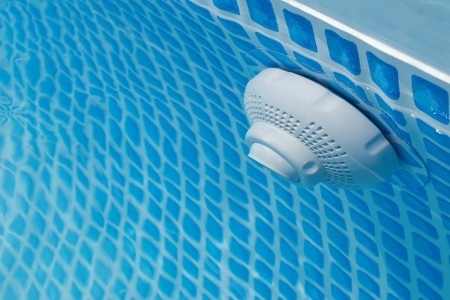 There are three main types of pool filters and which one do you have? You must know the type of your pool filter before cleaning it. The three main types of pool filters are sand, cartridge, and diatomaceous earth filters. A sand filter normally takes the shape of a cylinder, and they stay mounted beside the swimming pool where the pump pushes the water through the sand to get it purified. Though sand filters are quite expensive, it won’t give you much trouble in maintenance. These are the most common types of filters with fabric or paper cartridges. Cartridge filters are not that expensive as sand filters, but it would be costly when you have to replace cartridges with the passage of time. Cartridge filters are the ideal type for above ground pools. A diatomaceous earth filter is the most expensive of all the three filters and also the best among the three filters. Diatomaceous earth filters are generally suitable for in-ground pools though they are used with some above-ground pools too. Now you already know that there are three different filters and now let’s see how we can clean the above said three filters. Let us begin with the sand filter. 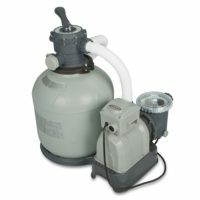 It might take an hour or more for you to clean a sand filter and somehow it depends if you are going to remove and replace the sand in the filter. The one important thing that you should remember is that you must clean your sand pool filter at least for once a month so that it would work properly but when it comes to replacing sand, you can do it once for a few years. Turn off the filter and the pump, then unwind your backwash hose after clamping it to the water outlet of your filter before you start backwashing the filter. Backwash the filter till you see clear water coming out of the filter. Then, put away the hose after making sure that there is no water remaining inside it. Next, turn on the pump and the filter by keeping the air relief valve on the filter open. You must always make sure that you turn off the pump and the filter before starting the cleaning process. The entire cleaning process might take up to two days. First, you must remove the air inside the filter by turning the air relief valve on the top. Remove the clamp on the filter by using your hands with gloves on it or a screwdriver. Then you can remove the lid of the cartridge filter and any other clamps which are needed to take out the cartridge. Give a quick rinse to the inside of the filter after taking the cartridge out. Next, use some laundry detergent or a filter cleaning solution to soak your filter in it for a few hours. Rinse the cartridge thoroughly after soaking it. Make sure that you remove all the detergent through rinsing. Then finally let it dry for at least 24 hours before you replace it in the filter. It should be completely dry before placing it again so the cartridge would work properly. Cleaning a diatomaceous earth filter won’t consume much time as cleaning the other two pool filters. But, unlike the other two, we consider the diatomaceous earth as harmful to the environment, and that is why you must find a safe spot to clean your diatomaceous earth pool filter. To start with the backwashing process, you must turn the valve on your diatomaceous earth filter to the backwash position. Then, turn on the pump and let it work till clean water comes out of the filter. When clear water comes out of the filter, it means that the cleaning process is complete. Now you are familiar with cleaning all the three types of pool filters where you can even do it by yourself. You must know the type of your pool filter and the correct way of cleaning it step by step so you can do it all by yourself. Hope that this article was quite useful in determining the type of your pool filter and the correct way of cleaning it.